Is This Police Appeal Legit, Or A Viral Advert For Coca Cola? 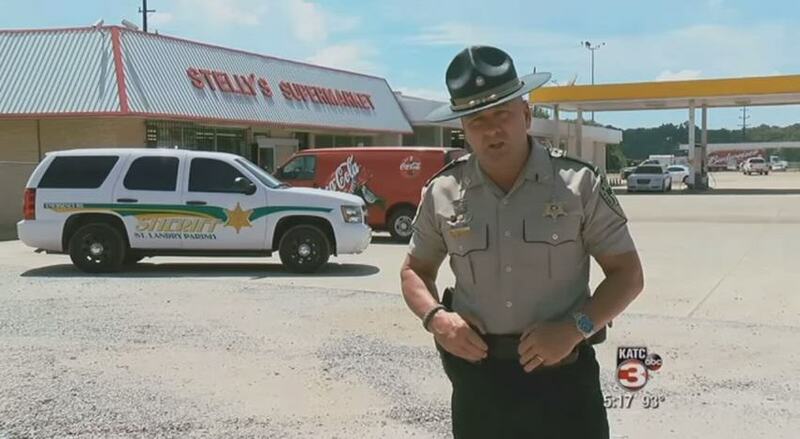 A Louisiana trooper has made this video appealing for information about a burglary at a supermarket. Only nobody is quite sure just how real it is. A lot of people seem to think it could be a viral advert for Coca Cola, due to his deadpan delivery and how flat the whole video is. That, and the Coca Cola van parking in the background halfway through, just before the trooper mentions ‘having a coke’. We’re gonna identify you, arrest you, and put you in a small cell. After that, I’m going to have a cheeseburger here, with a fries and Coke, and leave a nice tip for the waitress. Meanwhile, your next meal will be served through a small hole in a cell door. If it is real, I hope they catch him soon, so that this guy can enjoy his cheeseburger and coke.